Veterans Administration (VA) loans help put military-serving men and women into homes of their own. Active military, veterans, and eligible surviving spouses have access to VA home loans which are guaranteed by the United States Department of Veterans Affairs. This home financing option offers qualified individuals’ money-saving benefits that are generally not offered with other home loans. If you are seeking military home loans in Northern Virginia, Maryland, or Washington DC, Fairfax Mortgage Investments is your source for one-stop financing. Fairfax Mortgage Investments has more than 34 years of experience in the business and has helped thousands of clients secure their dream home. What is a VA Home Loan Benefit? Military home loans are one of the most useful military benefits for families looking to settle down during or after leaving the military. A VA loan can be used to buy an existing or pre-construction home to use as their primary residence, or to refinance an existing loan. As Veterans Affairs guarantees a portion of the loan against loss, we are able to work with veterans or active duty servicemen to provide lower interest rates and closing costs. In some cases, VA loans do not require down payments or mortgage insurance. 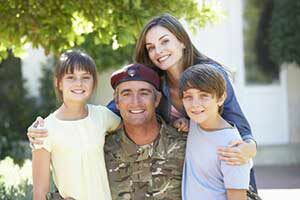 What Are the Benefits of Military Home Loans? Why Choose a VA Loan Over Other Financing Options? In addition to the benefits mentioned, choosing a VA loan over other financing services often provides borrowers with more options to stay on top of their finances. VA offers personal loan servicing as well as financial counseling to help veterans who may need assistance with making their mortgage payments or who are experiencing temporary financial difficulties. 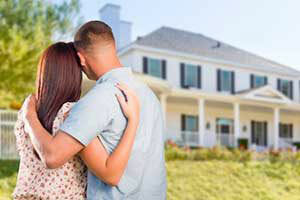 VA loans are also one of the safest home loan options on the market. VA’s residual income guidelines, coupled with the VA itself advocating for veterans in financial distress, have helped over 500,000 veterans avoid foreclosure. What Are the Steps to Use the Benefit? If you are interested in applying for a VA loan, Fairfax Mortgage can walk you through the process. You will first need to determine if you are eligible for the loan based on service and discharge requirements set by Veterans Affairs. Next, you will need to apply for a certificate of eligibility (COE) which verifies your eligibility. Once you have your COE, we will help you get pre-approved for a mortgage and you can begin shopping for your new home. Just like with conventional loans, the loan process ends with signing a purchase agreement, undergoing an appraisal, and closing on the home. Who Is Eligible for Military Home Loans? To qualify for a VA home loan, you must meet certain requirements. In addition to veterans and active duty service members, other individuals in or associated with the military may be eligible for this unique type of home loan. This includes former or current National Guard or Reserve members who have been activated for active service, as well as current National Guard or Reserve members who have not been federal active service. Other eligible borrowers include discharged members of the National Guard or Selected Reserve who have not been activated for active service. 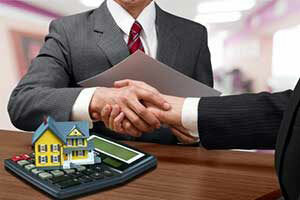 Why Choose Fairfax Mortgage Investments for a VA Loan? Fairfax Mortgage Investments (FMI) provides military-serving men and women the opportunity to finance a home of their own. We do our best to make the home buying process smooth and stress-free, whether you are a first-time homebuyer or an established one. We specialize in several types of loans, including VA loans, and no case is too complex for us to handle. Our team will assist you with every aspect of the loan process, including handling of all documentation and eligibility processes. VA military home loans can be used to purchase a home, build a home, or even improve a home with energy efficiency improvements that have been approved by the lender and Veteran Affairs. VA does not impose a maximum amount that an eligible party can borrow using a VA loan. To determine if you are a good candidate for a VA loan or to get started on your application, apply online or request a consultation with one of our brokers at Fairfax Mortgage Investments.